The BlackBerry KEY2 Lite appears to have leaked online showing off the new style this mini version of the Android handset could bring soon. It continues the recent Blackberry blend of modern software (well, reskinned Android anyway) and old school design values, taking on the likes of the Samsung S10 with a rich visual diet of textured plastic, lots of slimming black, a strip of contrast colour and that deliciously retro BB logo in burning chrome. The BlackBerry KEY2 launched in June allowing the company to focus on what's next, which appears to be a more budget version of the handset called the BlackBerry KEY2 Lite. Reliable serial leakster Evan Blass was behind the latest image, which has revealed the new handset which BlackBerry appears to be working on. 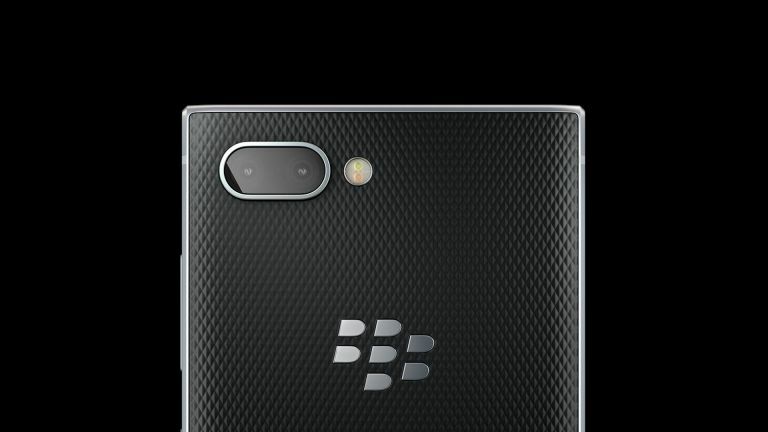 As you can see the Lite version of the handset looks very similar to the current KEY2. New to the design is that striking red outer ridge which should help to differentiate this as a more affordable option. This should also come in Blue and Copper colour options, claims Blass. The build quality is said to be more plastic focused to offer that lower price. However this won't be a "Mini" model as it should look the same, only perhaps featuring less powerful specs. Expect the usual BlackBerry QWERTY keyboard as well as the Convenience key on the side under the volume and power keys. This is the first leak of the BlackBerry KEY2 Lite so expect more to come ahead of a reveal date which may be close now that the rumour mill has fired up.